1. 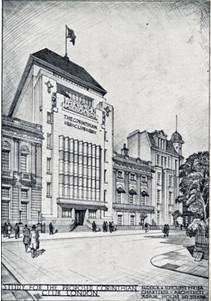 Proposed Oxford Street Store (Elcock & Sutcliffe). 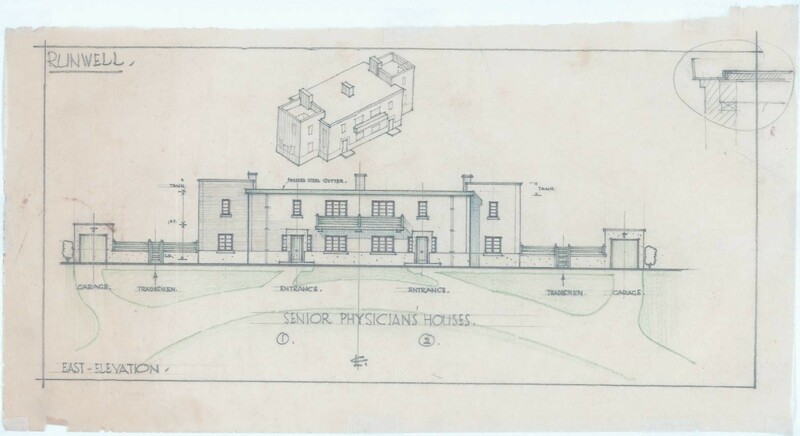 A perspective drawing from the early 1930s. 2. 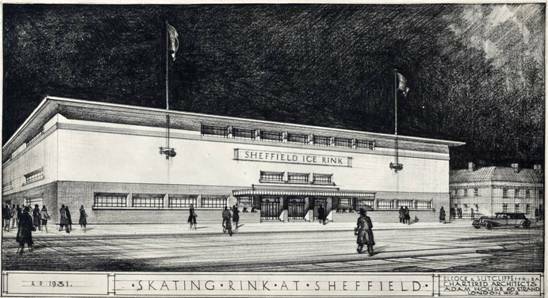 Skating Rink at Sheffield (Elcock & Sutcliffe). Perspective drawing 1931. Ralph Maynard Smith studied at the Architectural Association in London from 1921, qualifying with the AA Diploma in 1925 shortly after his 21st birthday. He then had a year's ‘practical’ with London architect Brian Waterhouse, and was subsequently elected as an Associate of the RIBA in 1927. From the start his exceptional abilities as a draughtsman were recognised and made use of. An abbreviated chronology of his career as an architect runs as follows: RMS joined Elcock & Sutcliffe in 1928, later becoming a partner in the firm. Sutcliffe left the partnership in 1942, while RMS continued with Elcock through the War. Elcock died in 1944, leaving RMS as the sole partner running the business. In 1945 he joined Easton & Robertson, becoming a partner the following year (the firm was later known as Easton & Robertson, Cusdin, Preston and Smith). He worked closely with Sir Howard Robertson in the five person partnership. Much later he suffered from lung cancer, from which he never fully recovered. The evidence reveals a never-ending pressure of work from 1928 to 1963, the year in which he retired. He died the following year at the age of 60. In the 1930s Elcock & Sutcliffe ranked among the leaders in the field of institutional design, especially hospital design. 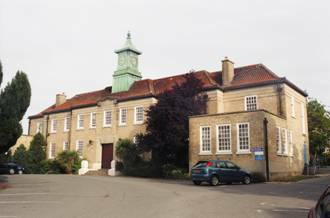 In 1930 they completed Bethlem Royal Hospital at Beckenham, Kent, which is still flourishing today; then Runwell Mental Hospital in Essex which was opened in 1937 (see illustrations 9-15). That was seen as a pioneering development in the approach to mental illness, and the architects were said to have “assumed the mantle of a physician”. From the mid 1940s to the early 1960s, RMS and Sir Howard Robertson ideally complemented each other as a design team, and a plaque in the lobby of their high-profile Shell Centre scheme records RMS’s contribution. Sir Howard Robertson was an RA, president of the RIBA (1952-4) and a member of the Board of Design Consultants for the United Nations Headquarters in New York. 1. Drawings of buildings. Most in portfolios, loose and un-mounted. 2. Photographs of drawings. High quality photographic prints, many mounted on board and authenticated by RMS, in Archive type storage boxes. 3. Photographs of buildings, photo prints, transparencies & digital images on PC. 4. Written commentaries and articles on the buildings, press cuttings. Dimensions: for the larger drawings and plans of buildings require artists’ type portfolios (from A0 size down), plus archive type storage boxes (W98mm x D367mm x H235mm). Transparencies would need appropriate storage unless / until transferred to the digital records. It is hoped that the RMS Archive Collection (Architecture) can remain part of a “Unitary Archive”, so that all three aspects of his work, as artist, writer and archtect, can be kept together; but in the event that it has to be partitioned, the prior completion of a three part database is essential, so that at least in that way a view of RMS’s multi-disciplinary thinking can be saved and assessed. The RMS Trust has prepared an A4 x 48 page fully illustrated review of its architectural collection (in a very limited edition). This will be used as a guide for assembling the appropriate sections of the database & catalogue raisonné. 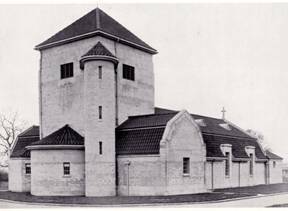 It includes references to RMS’s father’s architectural practice in Cape Town, SA, in the early years of the 20th century..
Having completed the text-only Database of Paintings and Drawings, (recording the main part of its three-part RMS Archive), the RMS Trust now plans:- a). To extend the Database to include the ancillary archives of Writings and Architecture. The architectural component is expected to amount to at least 200-300 items. b). To include illustrations throughout. Ideally the Architectural records will remain part of a unitary Archive although separate locations for its placement may have to be considered. See also “The Trust in 2012” on the “RMS Trust and Database” page. 4. The Corinthian Club. 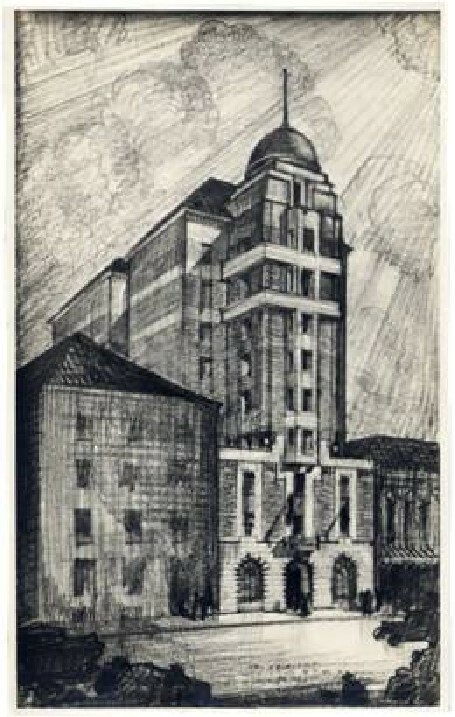 (Elcock & Sutcliffe) Perspective drawing of an art deco building, early 1930s. 7. “Flats” (Elcock & Sutcliffe). 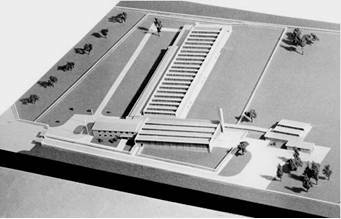 Perspective drawing, mid 1930s. Probably the first version of a later scheme for Flats at Blyth Road, Bromley (there is another elaborate perspective drawing of that scheme, dated 1937). 8. “Project for a Cinema” (Elcock & Sutcliffe). 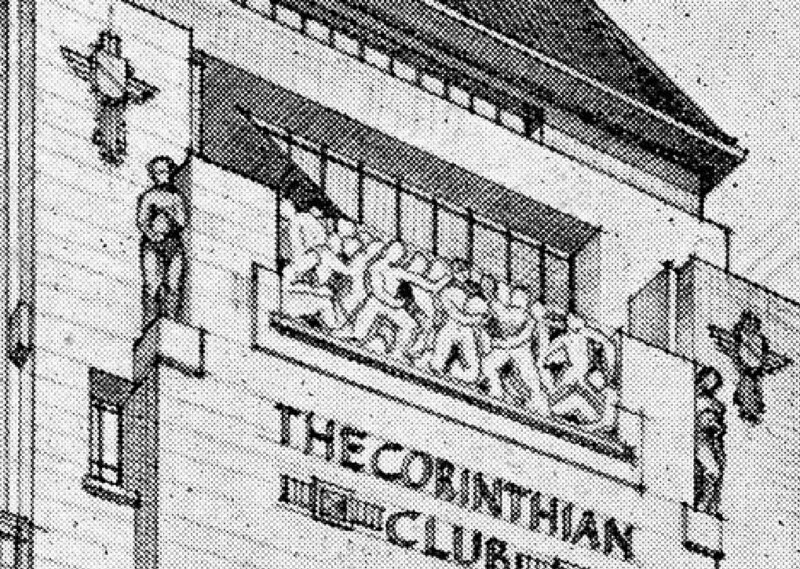 Perspective drawing c.1935. 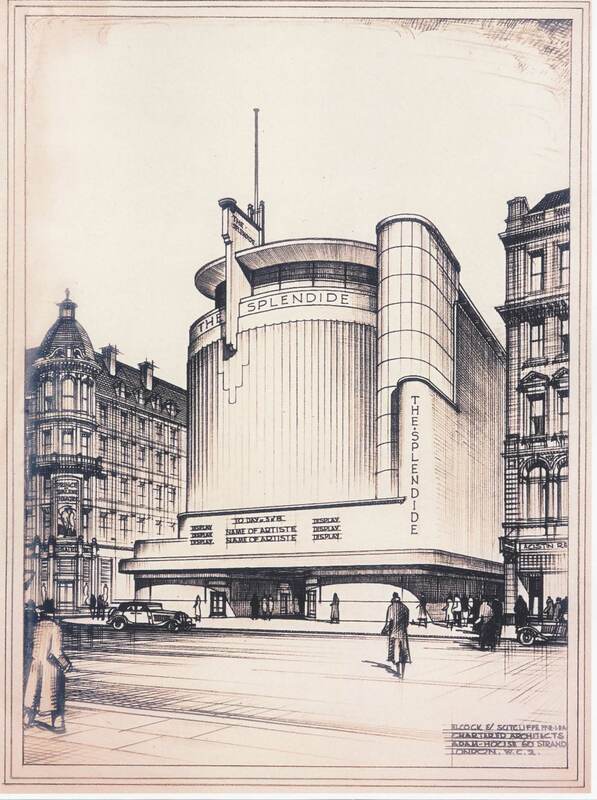 The drawing dates from about the time that The Odeon, Leicester Square was being proposed. The RMS Trust has records of four drawings of this design (see illustrations 1 & 6). It went through even more transformations in the attempt to introduce modernist lines into Oxford Street. Other leading architects made similar attempts, but most, if not all, were eliminated by the planning committees to which they were subjected. 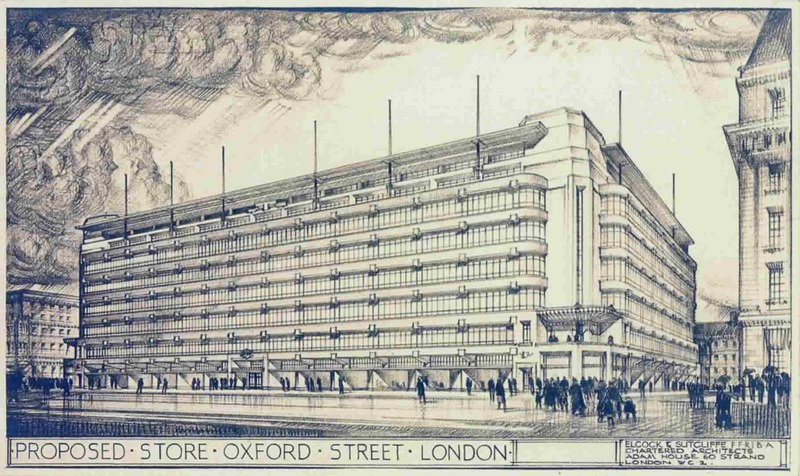 Note how, in the early version of Elcock & Sutcliffe’s submission, the Art Deco and Modernist approach welcomes the novelty of car access to the various levels of the building — resulting in a combination of store and multi-storey car park. The project was finally built as D. H. Evans Oxford Street Store (c.1935, or earlier according to some sources). 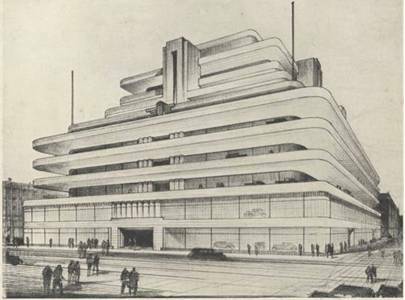 Its design was being proposed about the time that the iconic Peter Jones Store in Sloane Square was being developed by William Crabtree, but by the time it was built it had been emasculated by the restraints of the various Oxford Street and other committees. As already mentioned this hospital was seen as a pioneering development in the approach to mental illness, and the architects were said to have “assumed the mantle of a physician”. 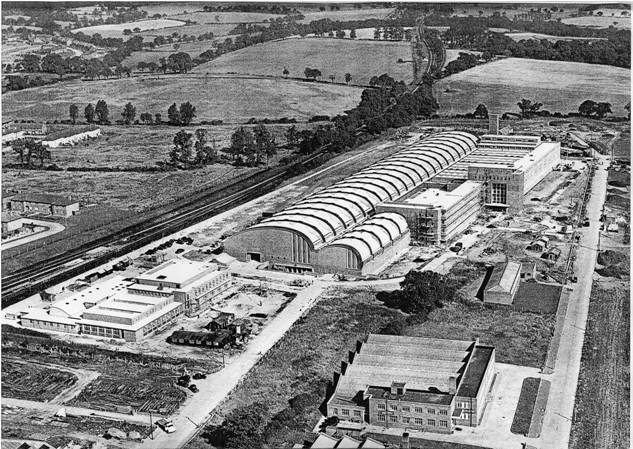 But it was more than just a hospital, the scheme as a whole was virtually a self-contained village community on a 500 acre site. All the staff had accommodation there, ranging from the Superintendent’s and Senior Physicians’ modernist Houses to the well-appointed Nurses Home and comfortable, gable-roofed Matron’s House, Its 1,000 bed capacity (later catering for nearly twice that number) was organised from the central Administration Building which had a re-assuring feel, with its Georgian fenestration and clock tower. 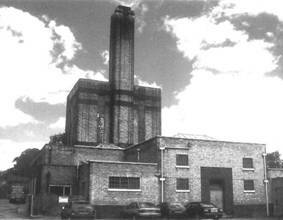 A dedicated Power Station (with echoes of Battersea Power Station? See illustration 13) supplied the whole hospital with electricity. Kitchens catered for the whole hospital, with provisions coming from the hospital’s on-site Market Garden. There was a Chapel placed at a focal point of the site. Educational and Recreational needs were catered for by a theatre with a stage where films could also be shown and talks given. Extensive grounds were designed and laid out as parkland, creating a relaxed environment throughout (see illustrations 9-15). For most of the hospital’s working life these grounds were immaculately maintained, but the hospital finally closed on 9th August 2010, It is thought that both the Chapel and the Administration building may be listed and saved. The site seems likely to be used for a housing development. The aerial photograph, taken around the turn of the millennium shows the extent of this village-like settlement. Photos 2002: D. Banham 15. 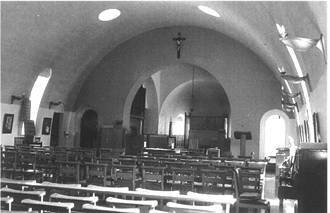 The Chapel (in 1937). 11. Runwell Mental Hospital (1928-1937). Elcock & Sutcliffe. 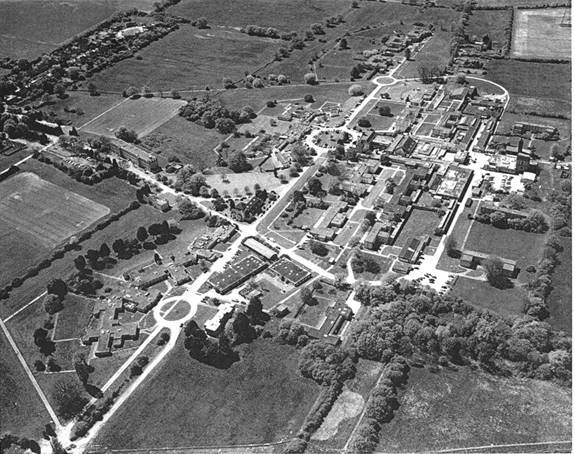 Aerial view showing part of the 500 acre site: the playing fields are largely out of the picture to the left, while the original farm and market garden are off the picture to the right: Runwell Hospital Photo Arch. 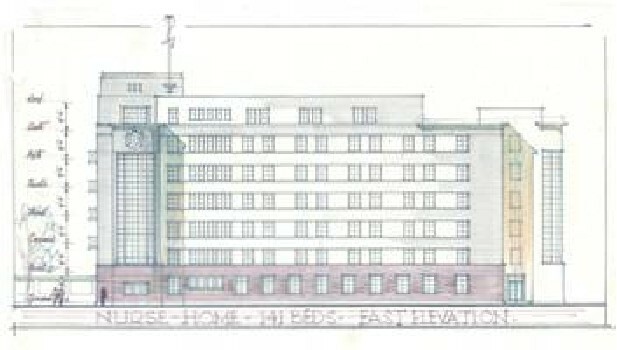 An elevation of the Nurses Home for Grantham Hospital is shown here (16), which must stand for a great deal of hospital work done during World War Two, particularly for the Royal Infirmary, Cardiff. There was also a Prisoner of War Camp at Sawtry, and the RMS Trust has a notebook recording site visits..
For a more objective view of the whole scheme see the perspective drawing reproduced here (17). 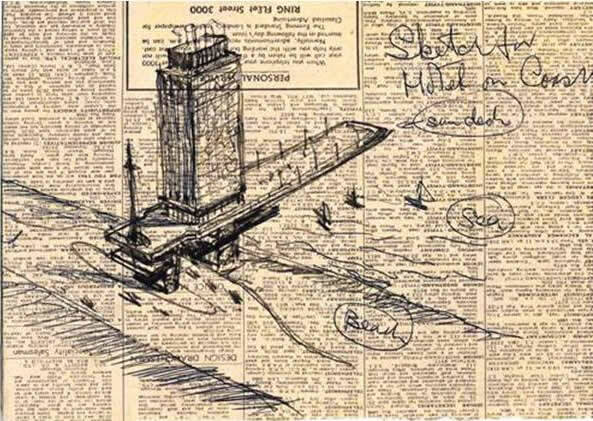 The location of the original drawing is unknown and the only evidence available is from this badly worn newspaper cutting in the RMS Trust’s collection. But, together with the reproduction of Maynard Smith’s early drawing of the scheme (18) a clear view of the layout emerges. 16. Nurses Home Grantham Hospital. Drawing, 1943. 17. 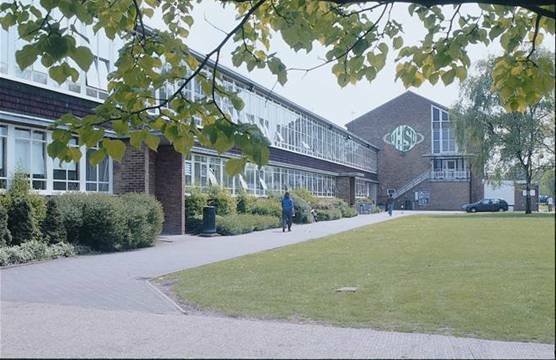 Hatfield Technical College. 1954. 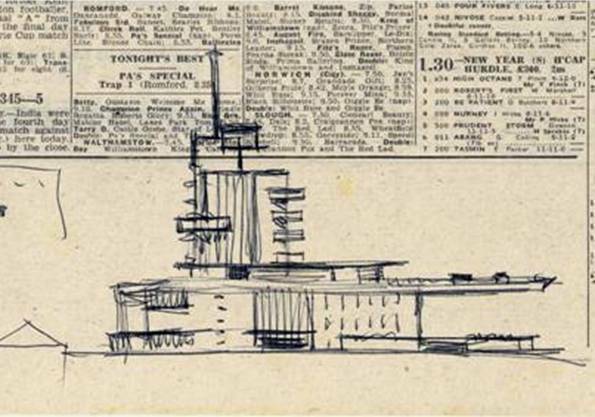 Perspective drawing of the final layout, from a press cutting (drawing possibly by Jim Thring). 18. 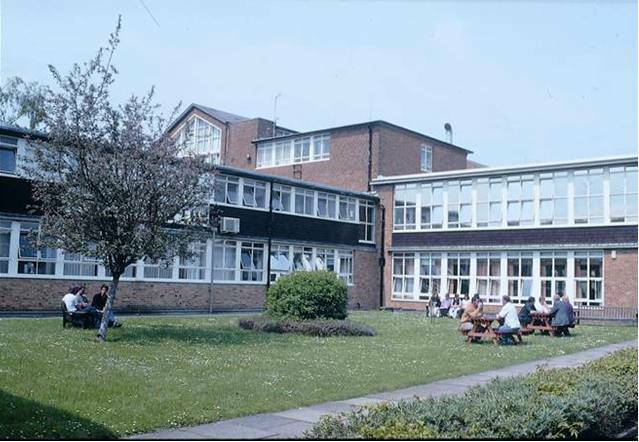 Hatfield Technical College and Secondary Technical School opened in 1954. 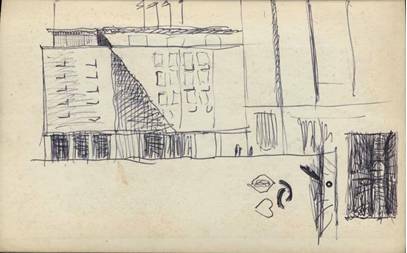 An early drawing by RMS (mid-late 1940s). It records probably the first version of the project, which now forms the core of the University of Hertfordshire’s College Road Campus. 20. One of several sheltered quadrangles. Photo: D. Banham. 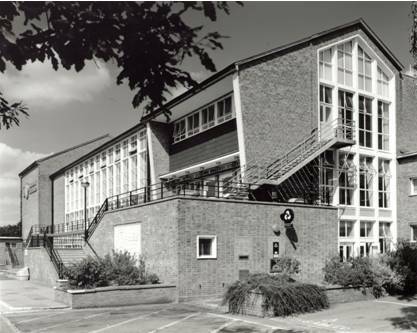 Alongside that scheme with Robertson, Maynard Smith was heading up two other projects: The Printing Works for Bradbury Wilkinson in Pretoria, SA (22), and Alleyne’s Grammar School at Stevenage, where the remit was to create an informal and homely environment rather than an instutional one. 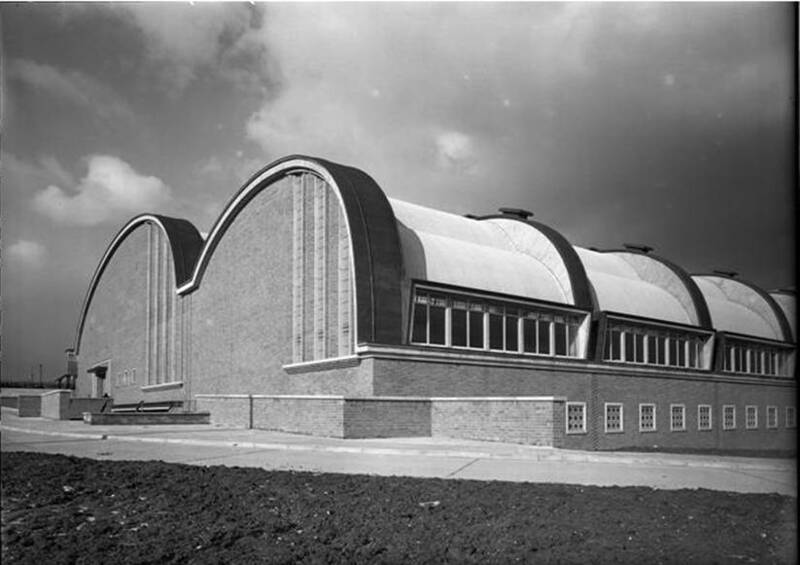 The solution is demonstrated by the large Gymnasium and Assembly hall being housed in a gable ended brick building having a ‘domestic’ appearance, as do the other classroom blocks. However, one important façade has been marred by later additions. 22. Printing Works Pretoria, SA for Bradbury Wilkinson. Model. c. 1959. Photo: RMS Trust. 26. End of the Main Printing Hall and its smaller companion, Photos: Bank of England Photo Archive. The Main Hall provided a working area some 850 feet long and 130 feet wide and the asymmetric curve of its arched roof provided a sense of uplift and airiness from within. 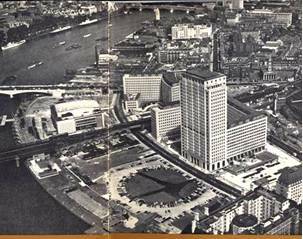 At that time public expectation for the South Bank, where the Shell Centre was to be built, had anticipated a renewal of the Festival of Britain spirit which had preceded it there. 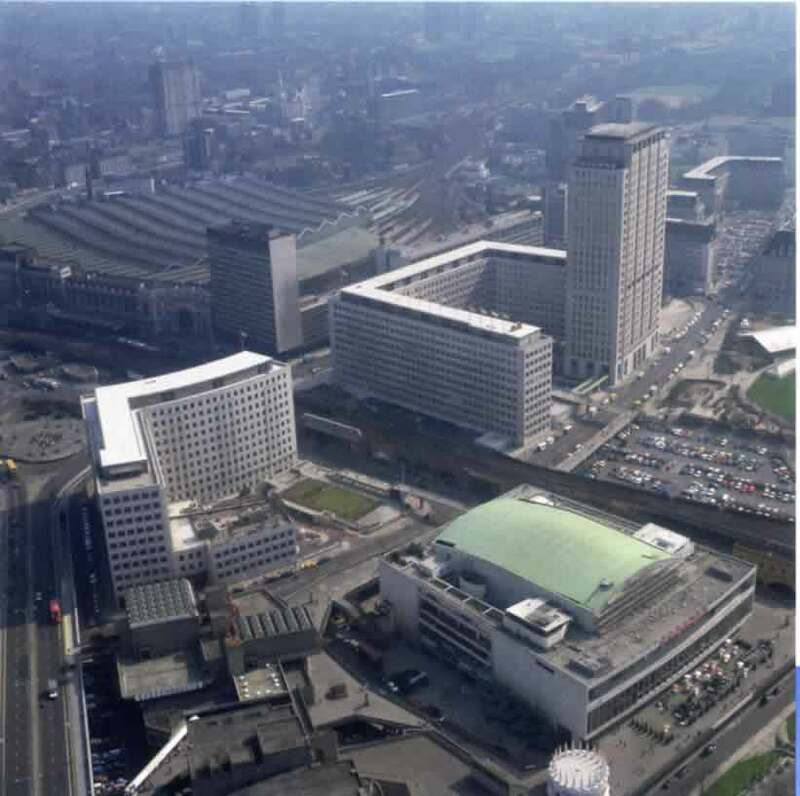 And the design of the Shell Centre pre-supposed an upstream site which was to accommodate both the National Theatre and a Hotel – thus practically as well as visually juxtaposing Recreation with Business. Contemporary newspaper reports confirm that radical changes were made to the LCC area plan late on in the re-development cycle, which left Shell representing Business in isolation. 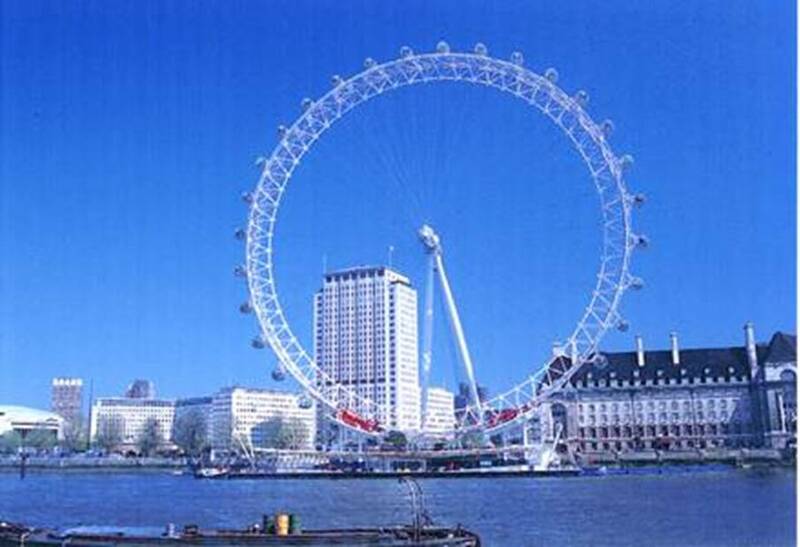 Only much later, when ‘The London Eye’ was installed, did something of the original mixed-usage concept for the site begin to appear, bringing it to life and providing a happier balance. The site itself was bisected by Hungerford Bridge, carrying the rail link to Charing cross, which resulted in separate upstream and downstream buildings. The client’s requirements were for floor space of 43 acres to be contained on a seven-and-a-half acre site. 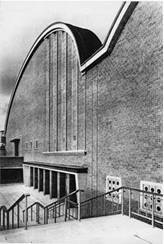 The Centre was to accommodate 5,000 full-time staff and had facilities for exhibitions and recreation together with a fully equipped theatre. 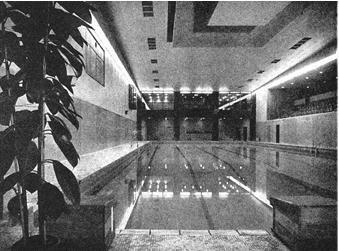 The sports facilities included a swimming pool (27) to international competition standards, which was situated 38 ft. below sea level.. Pages from RMS’s sketchbook show early visualisations of the Shell Centre project: ‘Tower by a Waterfront’ (28) was probably drawn at the time of the very first discussions of the project. A little later c.1954/5 (?) shows him beginning to work out the character of the lower blocks adjacent to the base of the Tower (29). Again in 1954, we see him assessing the aspect of the whole group of buildings as it would be seen form the north bank of the Thames in relation to County Hall, as it then was called. (30). Parts of the building came into use during 1962, before the official opening, and it has since enjoyed a very good reputation with those who work there. The Shell Tower was finished in 1963, only weeks ahead of the Vickers / Millbank Tower, with which it was in competition. It could therefore be called London’s first skyscraper (27-33). The Shell Centre will enjoy its jubilee in 2013. 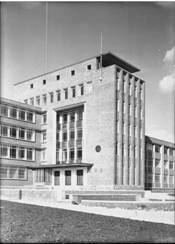 Sir Howard Robertson died shortly before the Shell Centre was opened in 1963, and Murray Easton was then on the point of retiring. Maynard Smith was faced with a challenge: whether to carry on or to retire. He was himself recovering from lung cancer and trying to recoup after ten years of stress realising the Shell project. Moreover, he was suffering the deepest depression of his life. The need to make this choice hung over him for months, during which time he talked a little to his son and showed him ideas for buildings in sketch form. He even commissioned a 1/1250 scale block model in hardwood for a university scheme. Never carried out, perhaps never even proposed, it was a leap into ‘post-modern’ design. It derived in part from the pedimental elevations of Greek temples (but with the axes of their plans reversed) and in part from the Mayan Palace of the Governors at Uxmal. 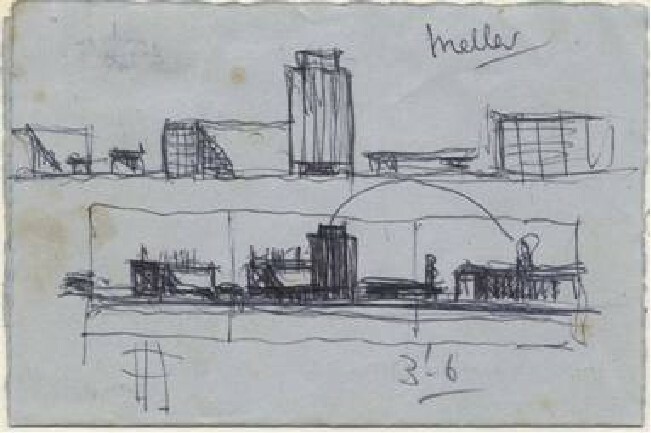 His vision of architecture had increasingly become sculptural, a trend already evident in the layout of the upstream and downstream Shell Buildings, simple in form and sympathetic in layout to the curve of the Thames, as well as to the traffic circus at the southern end of Waterloo Bridge (see illustrations 31 and 32). b). A strong feature at the top of the Tower: the viewing gallery which gave the building an ‘eye’, suggesting wide prospects. e). Abutments to the Tower, both symmetrical and otherwise. f). Its various hinted echoes of Art Deco throughout the building, rigorously contained by the English/British Modernist form of the whole. 1). All those features are echoed and developed in the 1984 Sony Building (formerly AT&T building) New York by Philip Johnson, except perhaps the abutments. 2). The abutments to a high tower are joyfully explored in the 1999 Kollhoff-Tower at Potsdamer Platz in Berlin by Hans Kollhoff. 3). Art Deco in a new form seems to explode in the façade of the 1993 RMIT Building in Melbourne, Australia by Edmond and Corrigan. Traditionally architects establish the dimensions of a tall building in order to produce the proportional effect they want, as seen from ground level. They compensate for the apparent diminution of features as they recede upwards, away from the spectator, due to the effects of vertical perspective. Maybe this design ‘principle’ will come to be revised, as buildings become increasingly seen and photographed from intermediate, even high viewpoints. This issue is immediately identified by comparing photographs of the Shell Tower taken from ground level with those taken from appreciably higher. 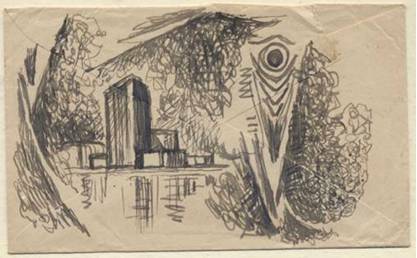 Two of the few surviving sketches for other schemes by Maynard Smith are shown below (34 & 35). They provide further evidence of his ‘post-Shell’ thinking, and give a clue as to how his future work as an architect might have developed. In the event he must have felt the prospect was too daunting, for he decided to retire, and he died suddenly the following year. If you would like to discuss the placing of “The RMS Archive”, or to support our projects, as described in “Work in Progress”, please go to “Contact Us”.